SAN DIEGO — Boaters should not expect a cell phone to autonomously navigate a boat or a mobile device to double as live bait or a fishing rod. However, anglers and boaters who wish to travel to Mexico to fish or boat can now use their cell phones to access an app to help them complete the necessary paperwork required to cross the border. Mexican officials announced late last month their government developed a mobile app to simplify the process to obtain permits and visas before crossing the border. The app is now available on all Android platforms, according to Mexican officials, connects anglers and boaters to sportfishingmexico.com. On the website, which is operated by Mexico’s National Aquaculture and Fishing Commission (CONAPESCA), users will be able to access boating and fishing documents, rules, regulations and visa applications. Anglers and boats can download the app at pescadeportivaenmexico.sectur.gob.mx/en. 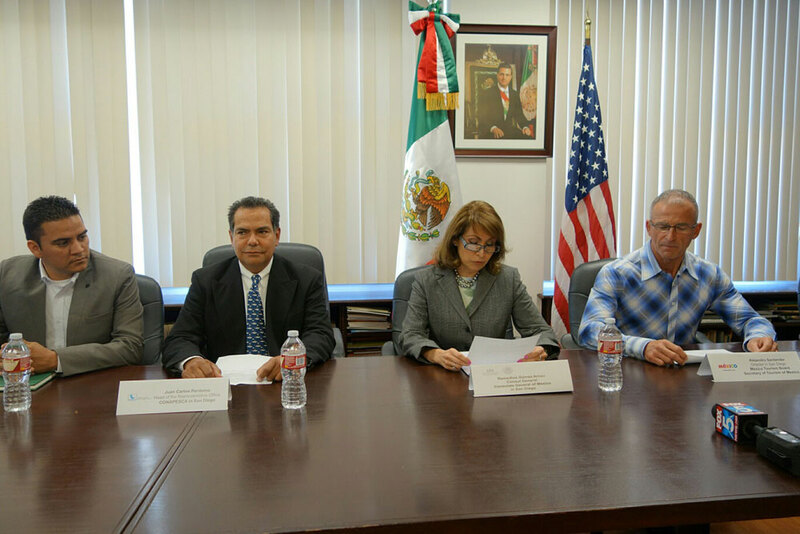 The Consul General of Mexico Remedios Gomez Arnau told The Log the app and micro-site had been in interagency development for four years. She added her country’s Navy reported many anglers and boaters navigating Mexican waters were unaware of new or updated regulations impacting foreign visitors into Mexico. Information available on the CONAPESCA website and mobile app let anglers and boaters know what they are permitted to do within 12 miles of the Mexican coast and between 12 and 50 miles offshore. Key documents, such as immigration forms, trip logs and boating and fishing permits can also be obtained from the website and mobile app. Everything on the website, including brochures, documents and a sportfishing in Mexico manual, can be downloaded on the mobile app. Boaters can also find information of where to report their respective port of entry. Ensenada is generally the first port of entry, especially for sportfishing boaters who would not necessarily make landfall. However, those heading further south toward Los Cabos or La Paz can find information on the app and micro-site of how to report a port of entry. Arnau added anglers and boaters can submit any comments, concerns or questions about the process on the micro-site. There are also two warnings on the site: It is illegal to bring weapons and ammo from the United States to Mexico; and, the capture of bluefin tuna in Mexican waters is forbidden indefinitely. Anglers who have not obtained a permit in advance cannot engage in any fishing activity within Mexican territory until they go to port first. A brochure outlining the process of entering Mexico by seas is also available on the website. In addition to a U.S. passport, boaters traveling south of San Diego and into Mexico by boat would need original vessel documentation, a temporary import permit, fishing licenses and proof of insurance. Information is available in both English and Spanish. The app will be available on the iOS platform soon.